As war rages, both sides are in a race to find the one thing that could turn the tides to their favor--a stone with the power to turn humans into gods--in this epic fantasy tale of magic and gunpowder by acclaimed author Brian McClellan. Continue the pistol-packing fantasy series by the author whose debut novel Brandon Sanderson called "just plain awesome!" 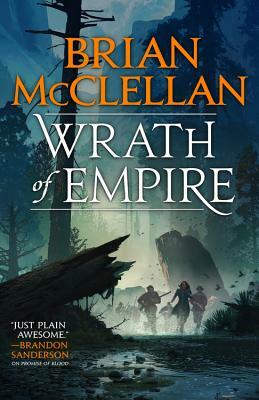 Brian McClellan is an American epic fantasy author from Cleveland, Ohio. He is known for his acclaimed Powder Mage novels and essays on the life and business of being a writer. Brian now lives in Utah with his wife, Michele.